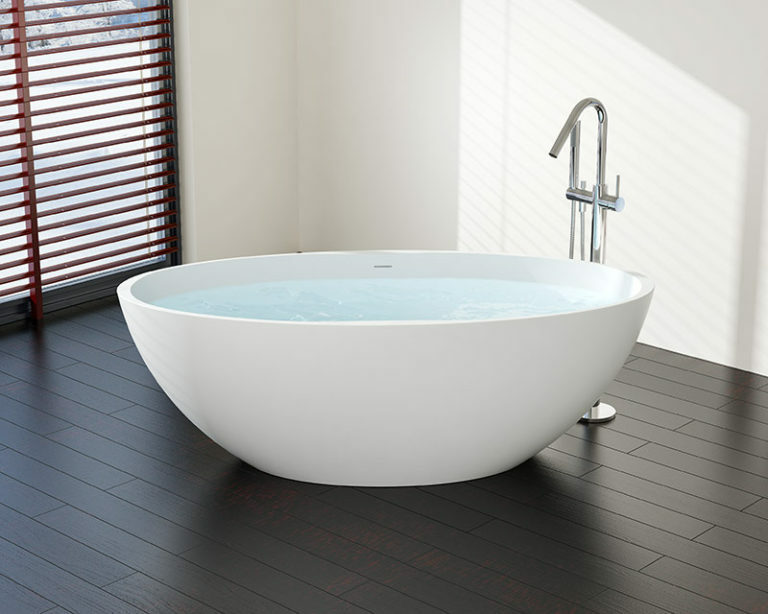 Founded in late 2009, Badeloft USA is an online retailer of bathroom products for your home. We are a Berlin, Germany based boutique bathroom fixture brand. Our US offices, warehouse, and main showroom are located in the San Francisco Bay Area. Our factory produces Cast Stone (Stone Resin) bathtubs and wash basins. Our Stone Resin is an engineered composite consisting of acrylic polymer (Dutch polyester resin) and dry ground marble and limestone filler blend. Our products are manufactured with special detail to the material used in the production process and are non-toxic materials that are safe for the user. Our stone resin is 100% non-porous, none-leaching, lead free and therefore unaffected by fluctuating moisture or humidity. The manufacturing process starts with the interior of the mould being lined with a gloss gel coat. Then the polyester resin is mixed with powdered mineral filler blend and color pigments (imported from the UK). It then cures and is heated to 70 degrees (sometimes even more to improve its heat resistance). It is then injected into a mould and then dried. Once the product comes out of the mould, if it will be a Matte finish, it is hand sanded to become Matte. If it will be Gloss finish, it is is simply hand buffed. We stand by our Stone Resin quality and durability 110% as we continually strive to provide our clients with modern and efficient bathroom fixtures at competitive prices. We hope that you will find our products to be as impressive as we do.